Cherish this one-of-a-kind experience when you stay at this beautiful Smart House in El Paso! The home features a brand new kitchen, Alexa, an automatic lighting system and custom sound system in each room. With a spacious open concept floor plan and private fenced-in backyard, this property is ideal for families or a group of friends and sleeps 6 guests comfortably. You'll have access to a wide variety of exciting attractions and adventures, as El Paso is a bustling city with a rich history! The living area is spacious and bright and includes a large leather sectional and a 65-inch flat-screen cable Smart TV! Gather around with your guests for a cozy night in, as there is ample seating for everyone to enjoy a movie together. Open to the dining area, you'll be able to mingle easily with your group or keep an eye on the children playing. The dining table includes seating for 4 guests to share a home-cooked meal. In the fully equipped kitchen, you'll find stainless steel appliances, granite countertops, and tasteful modern accents. Open shelving and a crisp white backsplash line the back wall, making the space bright and airy. The island features seating for 2 to eat breakfast or a quick snack before heading out for the day. Each of the 3 bedrooms is well-appointed, with stylish decor and plush, comfortable bedding. The master bedroom features a luxurious king-sized bed and a 55-inch flat-screen cable equipped Smart TV! Settle in for a relaxing evening and enjoy a peaceful night's sleep to prepare for the next adventure-packed day ahead! Spend an evening in the beautiful fenced in backyard, perfect for those traveling with children or dogs, with plenty of room to play. The covered patio features modern outdoor furnishings and a gas grill. You're sure to love spending time outdoors with your guests, whether you're sharing a bottle of wine, grilling up a delicious meal, or simply enjoying the fresh air! Explore art galleries, visit the zoo, and slide down the dunes at the White Sands National Monument. No matter what your interests are, El Paso is a buzzing city filled with attractions and adventures that everyone in your group will enjoy! Take a Geo Betty Tour and experience guided hiking and mountain biking tours in El Paso’s Franklin Mountains State Park. Guides will fill you in on local history, plants and animals, and lead you through some little-known gems. The Wyler Aerial Tramway State Park is another great destination, offering visitors a 7,000 square mile view! For family-friendly activities, visit the El Paso Zoo, where they are sure to be thrilled with attractions such as the Hunt Family Desert Spring, Foster Tree House Playground, and more. The Museum of Art also offers great hands-on activities for kids, including a kite building workshop. With over 300 sunny days a year, El Paso is home to many year-round golf courses for you to enjoy. Just 10 minutes away from the property is Butterfield Trail Golf Club, a state renowned Tom Fazio designed course! Visit Zin Valle Vineyards, situated in the valley of the Rio Grande, and spend the day to try their complimentary wine tasting or drink a glass of wine on the patio. Overlooking the Franklin Mountains, you’re sure to have a memorable experience here! - Convenient El Paso location - Surrounded by attractions and activities for your whole group to enjoy! Great house with great amenities! Absolutely wonderful experience! Owner was extremely nice and accommodating! Would stay here again and again! We had a great stay in this home. Our son was gearing up for deployment, and having this beautiful home to stay in and spend our family time, prior to his departure for a year, was fantastic. It felt like a home away from home for us, and enabled me to cook up his favorites before he left. Thank you for helping to make this emotional time, more comfortable. The house is beautiful and in a great location. Loved the yard and doggy door. Perfect for my pup! Would highly recommend and plan to return when visiting family again. Only small thing would be instructions on using the living room tv. Other than that everything was great! Very clean, convenient to shopping, dining, etc. Very clean. Enjoyed having a fenced in back yard for our dog. This is a lovely home, clean with all necessary amenities. 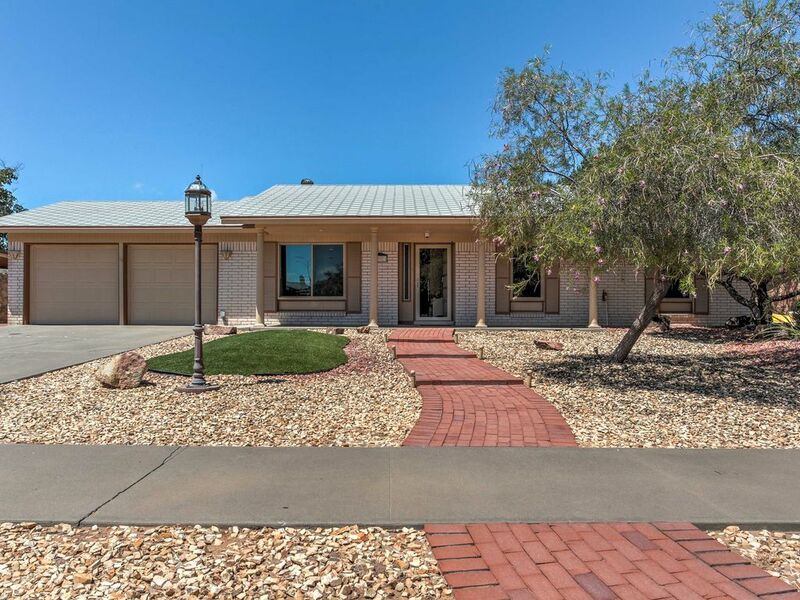 The location is perfect in a quiet neighborhood, with easy access to downtown El Paso, Ft Bliss and eating/shopping. Plenty of room, well appointed kitchen, and nice backyard patio. Very comfortable and spotless home. Great location too!